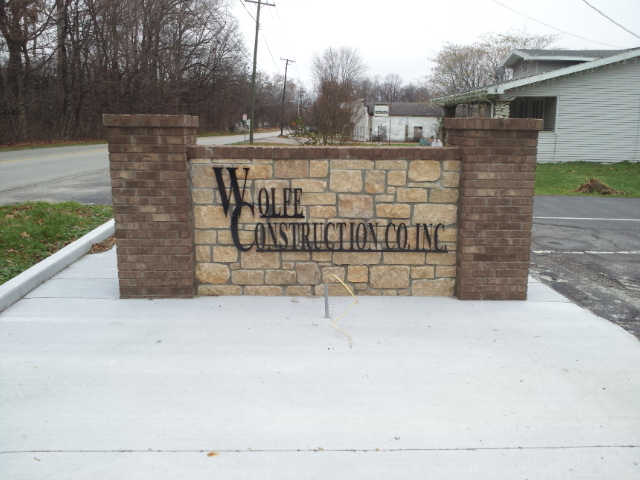 Wolfe Construction began doing business on January 1, 1992 and is currently owned by Steve and Kathy Wolfe. The company has been at its present location since the founding of the business 25 years ago. Steve Wolfe began working in the construction field in 1973. In January of 1992, he purchased the company and named it Wolfe Construction. At that time, the company was mainly focused on residential projects, but Steve has expanded the company which now serves both commercial and residential clients. The company has now completed many projects in Vincennes and the surrounding area. In the last twenty years, Wolfe Construction Company has continued to grow in the services offered. We are now licensed to perform septic installation and have the equipment to do small excavation projects. If you are in need of having a steel building erected, we are also dealers for American Buildings. Wolfe Construction Company ensures clients the best employees, with five well experienced and qualified foremen. Jeff Hoalt, Matt Wolfe, Tori Klein, Kevin Cornelison and Will Finch are there from start to finish making sure your project is completed to your satisfaction. Our carpenters/laborers that work for us complete our qualified team. Mike Abrams, Jim Boyles, Andrew Holdaway, Matt Fitzgerald, Steve Clinkenbeard, Eric Elkins, Bruce Devers, Tennyson Clinkenbeard, and Johnathon Clinkenbeard work to perfect every project. Our shop foreman, Bill Wolfe, keeps our company running efficiently. Our office manager, Taunie Snyder, will help you with all your construction needs at our office. Taunie makes certain that the company has completed and submitted all the paperwork and permits needed for any project. At the heart of Wolfe Construction Company is Steve Wolfe. The owner and President of Wolfe Construction Company, effectively runs the business through project managing and estimating needs.